Pool Area with casitas surrounding. Desert Morada Casita M is is one of 12 garden duplexes situated around a refreshing pool. All units have fenced back yards, wifi internet and cable TV. Casita M is newly renovated with one bedroom containing a king size bed. Bathroom has walk-in shower. Unit has own stacking washer/dryer off private patio. Plenty of natural sunlight comes through the new windows. The fenced rear yard is walled in for privacy and the back gate is just steps from the pool. Secure, paved off street parking on a quiet street. Carefully furnished and renovations include new wood tile flooring in living room and bedroom, newly painted and new larger front windows letting in plenty of natural light, new kitchen and bathroom tile with updated lighting. Conveniently located, five minute drive to the Tucson Mall and many wonderful eateries. Not far from the University of Arizona and other Tucson attractions. Additional charges- We charge for additional guest above 2-this includes kids. 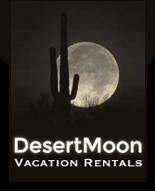 Additional guest fee is $15 per person per night. Have someone stay just one night-you need to pay for that guest for that one night. We also charge for dogs-no other pets please! The pet fee is $5 per day per dog. Dogs only-can not bark. Failure to pay additional fees prior to your reservation will result in fees being doubled. Hosting a party, gathering-outside of those renting the house, wedding, funeral, circus, baby showers, birthday parties, dinner parties etc are not allowed and will result in immediate eviction.